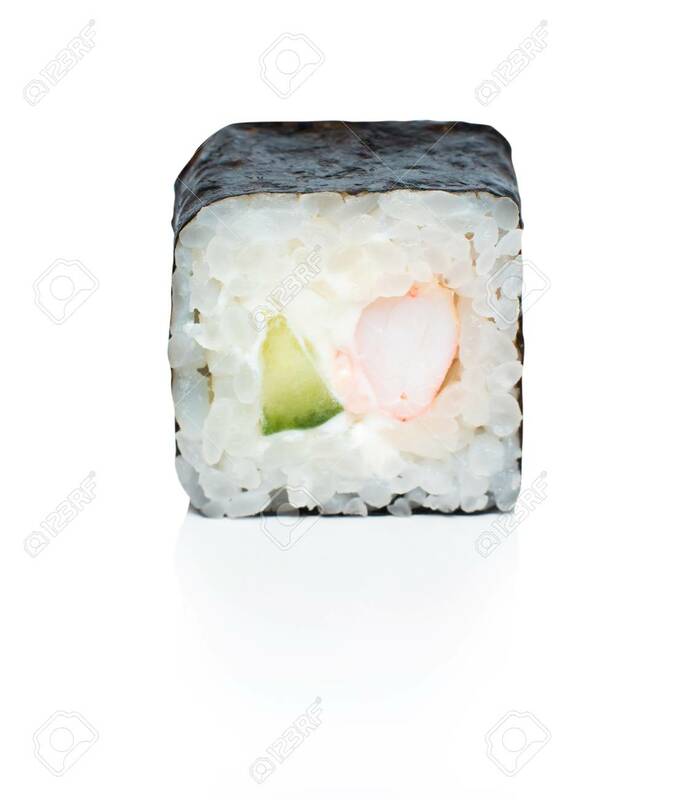 Japanese Food Eating Roll Sushi On White Isolated Background. Stock Photo, Picture And Royalty Free Image. Image 107413772.